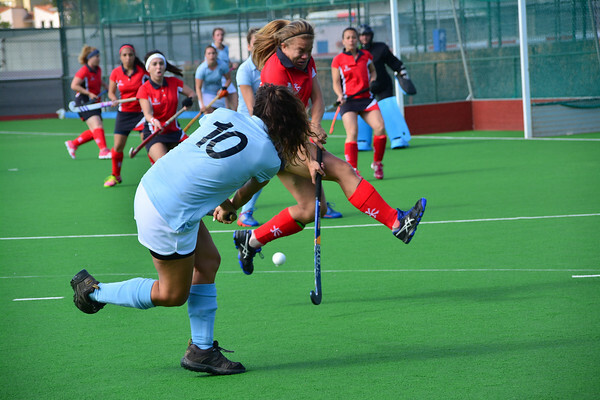 EuroHockey hosts Hawks started their campaign against Swedish side Nacka.Hawks were pinned back from the very start of the match in the same way as with Eagles the previous week. Nacka proved to be a strong opponent for the hosts from the moment they first took possession of the ball. Within five mins they had struggled to clear their d with three to four shots at goal. Eventually conceding at five mins. It took some time for Hawks to settle into their game as the Swedes pressed high on them. Goalkeeper Chelsea saved well from a short corner to keep them in the game with ten mins to go of the first half. Just two minutes later a quick break down the flank broke Hawks defence and Nacka were 2-0 up. Hawks started to pick up the pace towards the latter part of first half without success. The second half Hawks keeper once again saved them from going further behind blocking two consecutive shots. It was ten minutes into second half before Hawks ventured into Nacka’s half. The Swedes proving to be physically fast and well disciplined in their formation which was proving to be effective against Hawks. Nacka continued their pressure on Hawks who were being forced to retreat into their half. However Nacka were kept out well with Hawks losing only by 2-0.